I work with my clients to first have them understand that their biggest challenge is not the belief that they are not good enough…but the fact that they are believing their belief. I point out that beliefs are quite malleable i.e. at one time they may have believed that Santa Claus existed…actually, fully, totally believed it…and now…they don’t. A society at one time believed that the sun revolved around the earth…so much so, that anyone who did not believe it was ostracized by society at large…even regarded as insane. Now the belief is totally the opposite (albeit with scientific proof)…so beliefs are malleable, changeable…with new information. Sometimes I agree with them, i.e., “you’re right. You are not good enough. I’m not good enough. None of us are good enough. So, we’re all in the same position. and that’s okay. We start from there…” in other words accepting that we are not perfect human beings, accepting that and moving on to be the best human being we can… more loving, more patient, etc. I work with cancer survivors – mostly women. As they tell their stories, I try to help them see the courage it has taken to get this far and to help them see and own their strengths. I believe fear is often a big factor in their journeys so acknowledging their fears and having a plan and skills to work with fear seem helpful too. But Jack Kornfield is right – love is key! I encourage clients to recall experiences in their lives that they themselves chose to do (anything from choosing what eat for breakfast that morning to opting to come to counselling to more significant choices ie life partners, where to live, etc) that turned out well/resulted in positive outcomes. Once at least one is thought of/recalled, I then help them to shift perspectives or realize more fully that it was him/her that effectuated it. A lot of validation and self compassion are involved too. I moved to the united states twenty years ago. I am indebted to my mentors and teachers for what I have learned in the field. they encourage, understand and ove their students in all that they are, and like that you don’t have to go to war to experience difficulties; you experience it in all your daily life. Bessel VdK said it so well. And this goes beyond all cultures. Being a nutritionist, I have been encouraging my students to always feel themselves unraveling, get rest, eat and play while keep going in our learning. We need re-creation each day. Thank you for the video. I find DBT very practical but also challenging due to the developmental aspect of it. But, always find it helpful. I work with clients with personality disorders and who are suicidal along with PTSD, depression, and anxiety. I am DBT certified under Marsha Linehan and believe that the majority, if not all, of my clients developed this sense of shame and low self-esteem/self-worth through invalidating environments. Not only do I teach DBT skills, I teach elective courses in Shame Resiliency, Overcoming Low Self-Esteem, Rejection Sensitivity, and others related to self evaluation. This is a universal human experience and psychoeducation, compassion, and empathy go a long way with clients. Thank you for having Marsha Linehan on your video. She is amazing and I’m blessed to having learned enough about DBT to have a positive effect on me. For a large number of these client,s the standard EMDR protocol therapy works just fine. For those with more dissociation, using pants work as preparation for EMDR processing takes a little more time, and clients do achieve a belief in a more positive cognition, i.e., I am ok as I am. This really means they are lovable people who probably want to make further behavioral and outlook changes. EMDR therapy is designed to loosen and change these long held beliefs that interfere with living. When I allow a client to unearth what’s feeding the statements of belief that they aren’t good enough they begin by acknowledging, noticing, and pausing to consider the thought. This self validating creates an opening for beginning to present themselves with evidence that contradicts the belief. I find this helpful for myself snd clients. This makes so much sense. And Feeling what your body is going through to connect it to the external events. It gives you some feedbacks whether good or bad. I learn to listen to my body. Very simple. I love Jack Kornfield. He talks about Love ‘I look at them (clients) with love. Love is half the work we do’. I think he is so right – I wonder if he would really want to say it’s all the work we do? I agree with all of the comments and would like to add the word HOPE, it works really well if the therapist does not ever let go of hope for the client, hope that anything is possible, hope that they will see that all feelings are not reality, hope and belief in the therapist for change in the clients trust and understanding of body work and belief system will be contagious in the room and is essential between the two persons in the room. Your comments are so positive, and you are encouraging your clients to think, plan and communicate. Healthy two-way communication is such an important tool for recovery of one’s self confidence, self compassion, self Love, and sense of agency. In art therapy we do “collage” for children at school age who have lost or a lack of presence of a significant person (parent, sibling, friends ) due to accident or abandonment. The collage represents a de/re-construction of an image or a scene that is giving them n a new narrative to their tragic loss. The result is the person will carry on his experience within herself and bring back the good memories of its meaning . thank you. Repeating positive affirmation sentences can sensibly help in many ways. Each time a small specific thing is accomplished, the person has taken action in spite of their feelings of fear, lack, doubt and shame, and their world did not fall apart. Nobody berated them for failing even if they didn’t succeed. This experience provides evidence that it is ok to try again, maybe bigger. And confidence builds. The basis is fear, false evidence appearing real. I start with the evidence part and chisel away at the fear through disproving the story that the client believes is real. I am a Reverend and oftentimes I work with people who have developmental trauma. I share from the Bible how God formed us before the foundations of the Earth and called us by name. He knit us together in our mothers womb and the Bible says WE are wonderfully made. I help many understand God loves us all without exception. We never have to be perfect and God loves us even in moments when we cannot love ourselves. I also tell people that even if our parents were abusive or someone caused us horrible pain, God’s heart also breaks for us. He doesn’t shame or blame us. I share that He is powerful and is always on our side cheering us on and caring for us. He will be with us even to the end of time. That helps people who have abandonment issues and gives them hope and strength to know they are not alone. I am so grateful I am able to help people this way. Great message. I also use the Bible when it is OK with guests. It can, however, produce a lot of ‘not good enough’ on its own. What resonates with the people I work with in a detox unit is the story of Jesus and the woman who the crowd is about to stone for adultery. It seems to perfectly illustrate that we are all sinners and that no one sin is any worse than another. Once that point comes across, Jesus does not condemn the woman; He tells her to go and not do it again. Forgiveness of self is critical to overcoming feelings of ‘not good enough’. Thanks for bringing the Bible into the discussion. Even though I am a believer and a disciple, religion was a major source of my shame and ‘not good enough. ‘ the key for me and that I try to pass on to others is to just get to ‘enough’. Blessings. I’ve always wondered what was the woman’s response to “don’t do it again”. Was it freeing not to be stoned, but for those who are addicted or obsessed or compulsive about doing things that are harmful, does this directive create despair? Yes. But that’s usually when I teach on the power of the Spirit of God who dwells within us when we believe. We have power to overcome but God understands when we fall short and does not want us to shame ourselves. That is a text I wrestle with also because as human beings we have a general “sin problem”. No one will ever be perfect this side of heaven. Often, I tell people who struggle with addictions to ask God to remove the desire to drink, use, self harm etc. I have seen quite a few miracles where people lose their desire for the particular substance they had previously abused. Thank you for all that, Angela. I’m working through my own “Not good enough” issues – old, deep convictions. You’re welcome Karen. I too struggle with very old issues of feeling unworthy. But I have been trying to turn bitter lemons into sweet lemonade. I would never have chosen my upbringing but I can now completely empathize with others who suffer. So, at least I can help. It’s given me a purpose. Blessings. Often, religion has been used for shame and abuse. Because people come to me for Biblical counsel, I am always free to use the Bible but I try to be as careful as I possibly can. And I agree that forgiveness is key. If God says when we confess our sons he is faithful and just to forgive us when people have trouble forgiving themselves for anything, I share that with them. I also work to help them cultivate their own personal relationship with God. Everything I say comes from a place of no shame. I was abused from a very young age until my early 40s. I can usually sense what will trigger a shame and blame cycle for someone and steer clear. I attempt to cultivate the same sentiments when I preach. There are quite a few people in the congregation that have developmental trauma issues and the family systems in our church are generationally dysfunctional. It will take a lot of time for the church I am serving in to heal. I try at all times to remain the non anxious presence in the room. Blessings to all from me as well. I feel like a cheerleader in most of my groups at the hospital. I work with Not Guilty Reason of Insanity patients many of whom are on the Psychotic Disorder Continuum. I do believe my patients can feel the positive energy (Love) I feel for them in their brave and resilient lives. Some are so confused and stuck that just feeling that one person believes in them and talks about their potential in the here and now can have a healing effect. Thank you Jack Kornfield, “Love is the answer, What is the question.” Mary Jane Kruse, Psy.D. This is great! I work with sexual assault survivors at a small non-profit. Once a year I offer a work group on self worth as I have found worthiness, or the lack there of, is foundational work for all that comes after in the healing process. Thank you! Working with diverse groups of people and playing Drama Therapy warm up games, help people assess their strengths and what the favorite things to do. I do some strength-based assessment games and then ask people to from a team with members all four diverse dominate “Operating Systems” and give the room a common project to come up with a creative proposal to make the solution project happen. People realize that in their diversity, it made the team and the solution better and safer. Fun improves function. Timed fun helps people energy and expand their possibilities as it reverses the drain of negative thinking andcworry. In sports, that is called a Personal Best. Great idea, BTW! I definitely love and accept, validate, and help clients identify the root of the negative beliefs keeping them stuck. Then once I hey increase their understanding of what’s happened to get them to this point , we work on reframing and rewriting their story, as well as attaching to themselves and self care. I highlight the strengths I see and hear and affirm their value as human beings vs human doings. Thanks for your work. I feel very humble about the work behind this process to build a well-being true to her value as who she really is. My fear is the dependency that result from the process in term of lots of responsibilities. But the self-care would take care itself. Great idea. Thanks! Dear all of you. Thanks for sharing your stories. I’ll share a little of mines with family constellations. What I have done with people who seems to be never good enough for themselves, is trying to get to the point in their family history where the phrase does make sense. In some cases, I have found that the destiny they were taking as theirs in the family constellations was that of someone with the precise feeling of unworthiness and shame for what they inj fact did. And so, beggining with the consideration of clients’ huge love for their family systems, as seen in their sacrifice (entanglement), they can look for a way to mantain that love without the negativity that was nor theirs. From there on, the work to grow in auto appreciation is much easier, and guilt and shame can go away faster (return to whom they belong, when that’s the case). I explore with clients where their “not good enough feelings” come from. I emphasize that we’re all born innocent and beautiful, but we don’t have a choice about what kind of family we’re born into, and the effect that family will have upon our sense of self. I also make sure they understand the difference between their behavior and who they are. I work with a narrative approach. I try to find a time where they sure feel worthwhile and I help them enlarge that story so they can look at themselves in a different light. Thanks for this. If a person has grown up with such a message from a parent I have focused on the person’s own spirit being present and capable of supporting positive healthy growth and that past messages of inadequacy were about the messenger and not about truth. I sometimes just take the client’s side against a critical individual or voice and argue for the client’s side with the client, but I’ve found I have to be careful with this, especially if I’m “arguing” against a parental voice or a spouse’s voice. Not good enough speaks to desire and control. If I make myself somehow better I will get what I want. For many there is the Pavlov experiment of a behavior or affect triggering a response. There is in this the wounded child and the physically mature adult. I bring the adult back to him or herself. I don’t think this has to be a negative thing. Does it mean being less competitive and enjoying the ride? ACT may be the best approach here. “Not being good enough” is perhaps the result of being raised by depression-era parents. Do the millenials share this problem? Working with clients as a professional organiser requires a level of trust that needs to be established rather quickly , they have reached out for help and their courage to do this is immense in some cases. Slowing right down , listening to their perspective on what it is they are trying to achieve by contacting an organiser. Overwhelm and not knowing where to begin. Asking :How do you want this space (a room, a closet, a garage) to work for you & how do you want to feel when you come into this space? This allows them to clarify , perhaps even visualise what it is they want to achieve. This gives them some mental clarity and focus , helping them to experience some relief from overwhelm. They know I will be working with them to then achieve that goal. Somebody earlier in these pages mentioned our time in the womb as important for the view we develop of ourselves. I want to second that. Although I’ve noticed quite a few self-help writers talking about babies being born with no doubts about themselves and then losing that glorious state through early experiences of life, actually most people have already formed limiting beliefs about themselves before they are even born. It’s enough to be an unplanned baby, the second girl when parents were hoping for a boy this time, to have a mother who herself feels that she is inadequate and so on, for the baby to be deeply affected and to form limiting beliefs which are then acted out during life:’ I’m not wanted’, ‘it’s not ok to be female’, ‘I’m not good enough’ and so on. In this context I wanted to mention a technique called ‘Matrix Birth Reimprinting’, which delicately and creatively helps people to put these things right in the womb or during the birth process itself, with many documented results of great interest’ that describe resolution of the client’s own physical or emotional issues, their children’s ( especially if still small) or positive changes in other members of their family. Indeed it can be very like an inner ‘Family Constellation’ sometimes. This approach was developed by Sharon King in the UK, from Karl Dawson’s ‘Matrix Reimprinting with EFT’. She published a book in 2015 called ‘Heal Your Birth, Heal you Life’, which i would recommend to anyone interested in this area. This is just what I needed to find out. Thank you for sharing! Explore when this believe started and where it came from. Then identify how it was reinforced. From there the client can explore the quality of the evidence. From that vantage point perspective can shift. Sometimes it is an inter generational family belief they can be released. 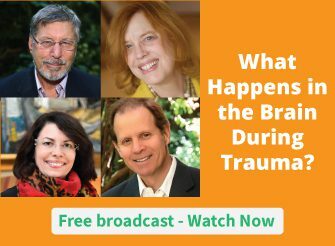 Here is where faulty thinking can be identified, self-compassion can be taught, and meditation and connection with trusted people can be used to help replace this belief system that causes suffering. I may ask different questions to the person I help. Where does those standards come from ? Could that be a message (repeated over and over ?) that you bought into and kept (listening to it) since ? What ‘s your take (vision) about those standards ? What do you think about those standards ? How does those standards make you feel ? What are you judgments around those standards ? The aim is to trigger emotions and work from there. And then what do you want to do about those standards ? Love is half of the work we do, as Jack pointed out. It represents acceptance in a beautiful way – the client may have those negative thoughts about him/herself at the same time as he/she knows that the truth (or my truth) can be different. Judging yourself is a terrible dilemma for so many. I often suggest some physical exercises in the beginning of a session. For example: chin up, shoulders back, walk straight forward. Also writing down the opposite of a negative thought is effective and makes people sometimes laugh. Thanks for taking up an important issue! – And thanks for sharing, Leah. Thanks for info. So helpful. I help the client uncouple the story from their physical sensations. Then we track the sensation in the body , and become aware that the client is tolerating the discomfort. Then we notice where in the body it’s more pleasant and we pendulate between the opposite sensations until the uncomfortable has disipatated. When they’re in the zone of optimal arousal ill have the client says ,I MATTER. This gives unbelievable amount of relief and strength and builds neural pathways of I CAN I MATTER in the brain body. Thanks for sharing Leah. Your method sounds great and I look forward to helping people in this way. This was very helpful in identifying the deep roots of validation by understanding: What is true? Where does it come from? Pursuing potential for the “anything is possible”. Thank you for the inspiration in helping others who have felt they were not or are not “good enough”. Wow, so many thoughtful responses! Feeling inadequate or “not good enough” resonates with numerous people in part because society pressures us to be accomplished. When working with clients, I find that part of them subscribes to negative images given to them in their childhood. When a client holds a current specific negative cognition, I encourage the client to try to recall when they first felt that way about themselves and explore with the client what was happening for them at that specific point in their lives. Treating clients with respect and being able to enjoy them in the present often helps clients to re-evaluate feelings of inadequacy because they have a comparison point about how they ought to be treated by friends or co-workers. Thank you so much for this valuable discourse. In working with clients that hold beliefs that they are not enough I typically start with normalizing, embracing, and loving what is in the present moment. Then I typically move into a practice of forgiveness where clients are invited to forgive the part of themselves that are holding on to such a belief. We explore the power of the unconscious, the manifestation of the expression of not enough into one’s life and body, and learning practices to help reprogram such beliefs. I also find it very important to address how this feeling of not enough serve an individual. At times it may be beneficial to look into the part for understand it’s source but this is not necessary based on my experience. The feeling of not enough may vey well be part of a natural process of the growth of the soul where one is longing for significance or sensing an inner urge to grow as a person. All dimensions should be explored with loving kindness and compassion. This is very helpful for a person looking for inner growth and self- acceptAnce. Thanks. This was a very helpful broad spectrum of viewpoints so that was really lovely. One experience that I had was inviting the client to look at a newborn child and then themselves as a newborn and really take the time to reflect (if they don’t have a “people are born evil” worldview) on that wonder of birth and soul that they recognize in that infant. Then we explore their life as they grew up how events happened to them, and keep bringing back the focus to the core of the individual and how it took time or a specific event or events to shift this. And how instead of discovering all the wonderful ways that they can be in the world, they learned all the ways other people did NOT want them to be. We visualize and feel this and begin the process of regrowing who this lovely person is on the inside. Of course they feel bad and they are in touch with those feelings and now it is time to get in touch with feelings that are also present because there is still that core amazing human being present. We can focus outside of themselves and inside pendulating awareness and getting them in touch with those more illusive “facts and feelings” that help them know that they are worthy inherently. I’ve found with my own children, they come up with stories that I do not care about their feelings, and no matter what I say I cannot convince my oldest daughter. It gets to the point that I just walk away because the discussion has deteriorated too much. While I am aware she’s hurt, I tell her I love her but am unable to convince her of my love for her or her feelings. Maybe I’m not seeing my insensitivity although I do not carry the feelings of guilt or burden of her comments. I wished the best knowing I have no control. Hi Charlie, I volunteer for a scholarship program in my area. And found that your situation is very common. The candidates have some growing issue around being independent. They feel misunderstood and rarely consider other options. Seeing self as “ I am enough” is a challenge. Usually parents are pushing. And children make wrong decision. Their confidence and inner strength develop only as they earn their independence and being able to explore without being completely told what to do. Charlie, I’m wondering if you could ask your daughter how she would know or recognize that you love her, what you would do or say if you loved her? I get the feeling this may be a “love language” issue. I may be seeing this too simplistically but there may be a way to express your love in a way that she can understand which you are not doing right now. Maybe look up “love languages” first if you’re not familiar with the concept. The whole point is not to get baited into a fruitless “fight” in which they try to export their anxiety onto me, or make it into “them vs me” rather than them vs. their own difficult issue. The goal is to stay calm, project my positive belief in their worth and competence, and leave them face-to-face with themselves. It seems to help with the growing up process in a way that reinforces their own worth, self-responsibility, and competence. And definitely makes my life, and our ongoing relation, easier, calmer and more positive. Thank you for these tidbits. I have become aware more and more that teachers are having this thought and they encounter more students who express negativity about who they are. This is unsetting to me because as an educator for over four decades I see change. We used to be able to talk with our students and listen to them more and give a hug once in a while but now it’s only about the agenda ~ if it’s not in the lesson then you can’t engage! Teachers are constantly being fed negative evaluations and almost never given positive feedback. I am retired now but before I retired I worked with the teachers and found that more and more they harbor that feeling of never being good enough! How sad is that? My role today is to continue to encourage those very special educators who dare to find a place in their heart to encourage their students. They are good enough and need to be told so. I pass your information on to those who can make a difference today. Thank you for voicing my plight as an educator. I have healed bring retired. Thinking. We have moved beyond, in many situations, having basic standards to now making demands which aren’t always in sync with children’s needs, abilities, thoughts, feelings. The idea I often work with (something I’ve absorbed but not quite sure where it comes from now) is that where a person has, as a child, had a parent who was unavailable and impaired in their parenting abilities in some way, e.g. through depression, anxiety, alcoholism etc that child may have developed a core belief that if they could only be a “better child” for their parent they could somehow “fix” them, make them feel better and thus get the parenting they need. This can lead to a feeling of responsibility for the emotional wellbeing of the parent, which of course can’t be fulfilled, this being an impossible task for the child, and thus can lead to a sense of themselves as failing, never being good enough. Added together with the failure of “mirroring” of their own states and needs by the unavailable parent, a sense that they are not effective or worthy of recognition, pride, validation, affection etc. The child may also absorb the parents feelings of helplessness, despair, futility. What the child is getting is not good enough but, having assumed the responsibility for the parent, it must be their fault, hence they themselves can never be good enough. They can be left with the sense of having a “basic fault” at their core. I think that sometimes for the person to be able to get in touch with their anger over their own unmet needs and the burden that was placed on them, and to be able to re-evaluate the position of the “child” they were as “only a child”, not responsible, this can begin to be the route out. However, often where there is this sense of responsibility for the parent, there is also “protectiveness” towards them so that anger can make them feel guilty. Things can sometimes get quite stuck here… Such ideas as those in the video can support the movement forwards. Spot on! Eloquently put. What’s helped some clients in my experience to cut out the guilt is to take it back another layer and think about what happened to their parent, and their parents and so on. How unfair and sad it is that trauma and hurt can be passed unconsciously through generations. I’ve found clients can get express anger towards that. The concept of this toxic hurt and pain being passed along. I may even get them to recreate it somehow through Art and then interact with it to make it more concrete. What’s hopeful is that when this self awareness and forgiveness comes we can break the cycle. Hav you heard terms like “parentified child”? I’d categorize it as a type of codependency that a child must engage in for survival. Common in ACOA families.